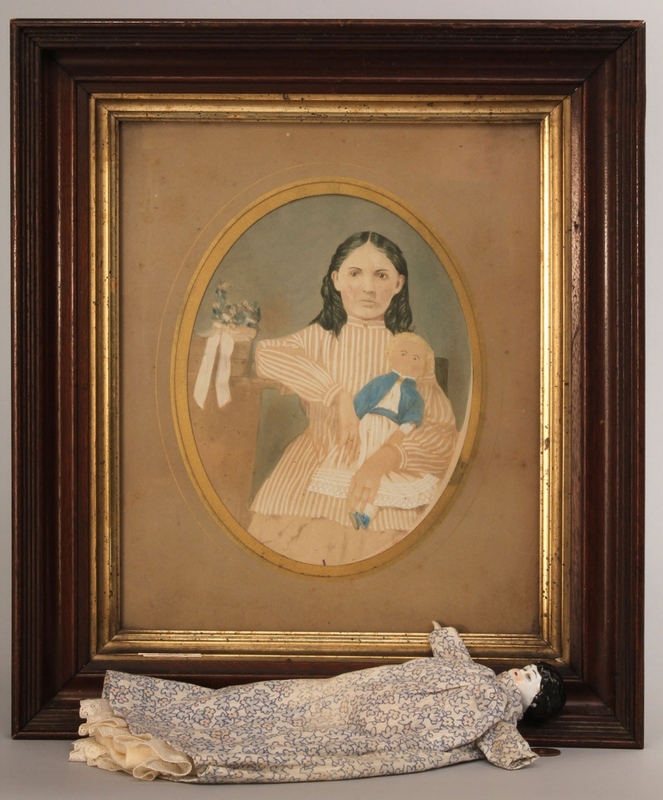 Lot of 2 Folk art items. 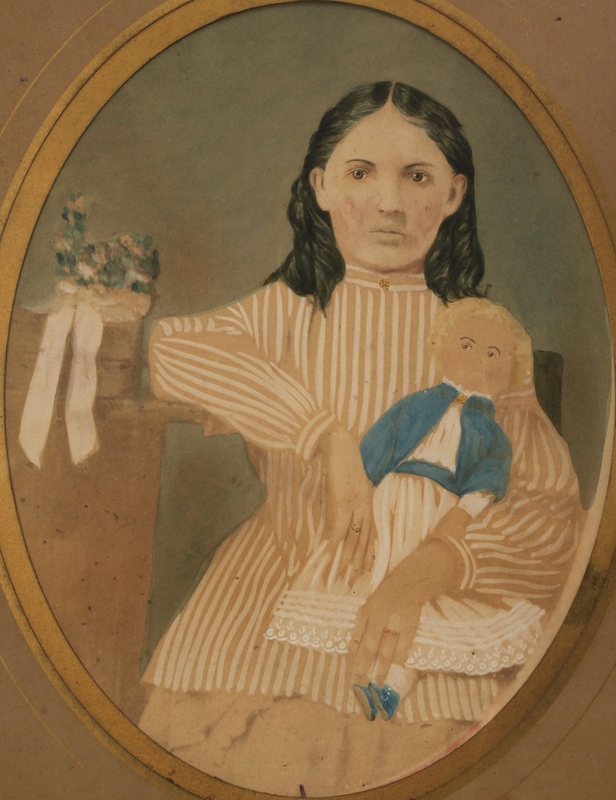 1st item: Watercolor on paper, oval format, unsigned, of dark-haired girl holding doll, framed in rectangular wooden molded frame which appears to be original. 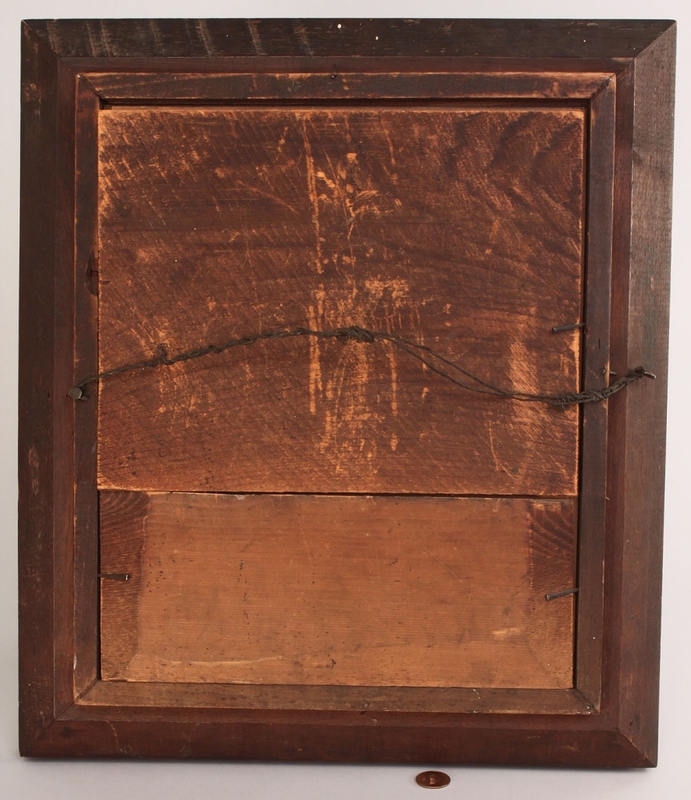 Overall good condition with some brown spotting on image and matte. Late 19th century. Sight: 8-1/2" H x 6-1/2" W oval. 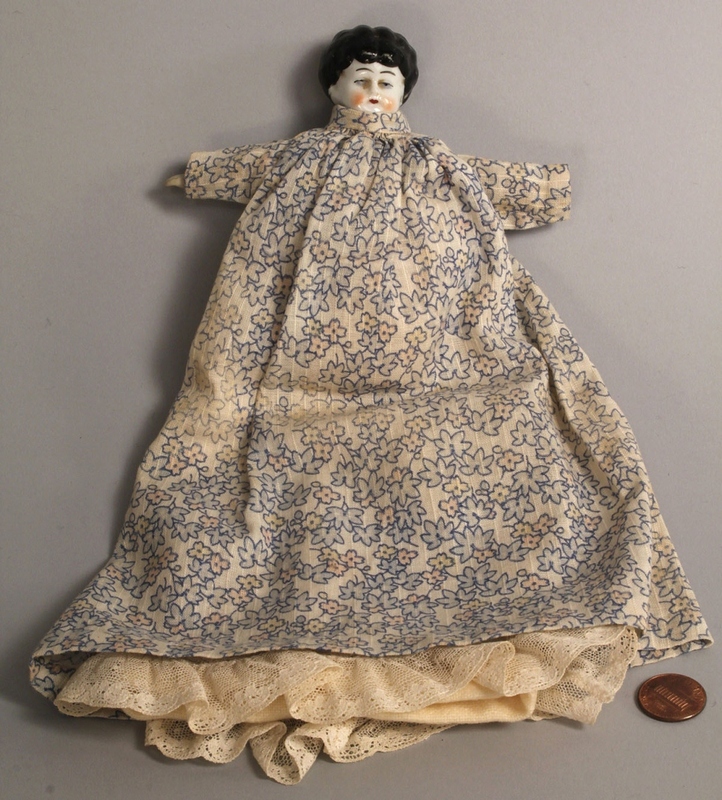 Frame: 16" H x 14" W 2nd item: Bisque doll with black hair, marked Germany, late 19th century, wearing later hand-made clothing. 10-1/2" L. Condition: All in good condition.